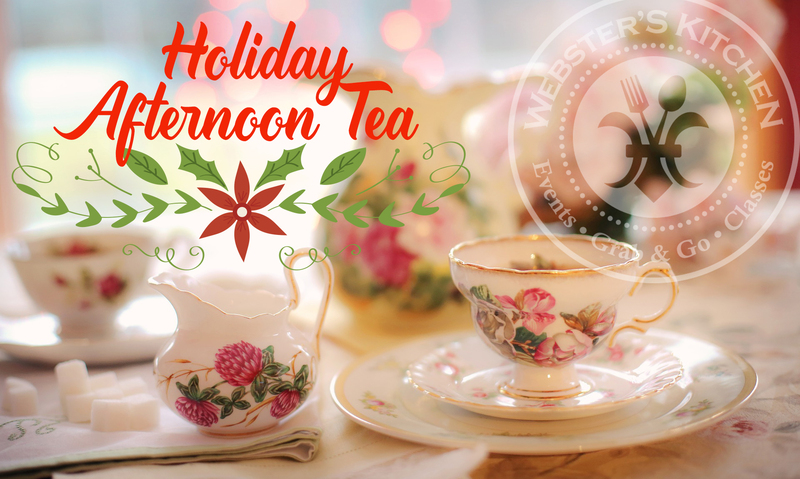 Join us for a relaxing and enjoyable Afternoon Tea at Webster’s Kitchen. Catch up with friends over the holidays and indulge your senses in sipping on select teas and scrumptious finger food made right here at the Kitchen. Give yourself a treat and spend the afternoon mingling with family, friends or meeting new ones. This event/class is sure to fill up – register today!